It's been a couple weeks since Linden Lab started issuing Linden Homes to premium account holders and that first weekend was a nightmare for many as they "sold-out" rather quickly. They are too close together, like sardines in a can! All the window views are into the homes of others! 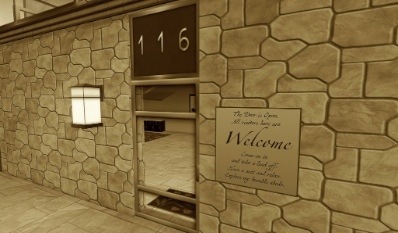 Even if the house doesn't count, you can't do anything with only 117 prims! I thought the "Meadowbrook" ("California-style") homes to be the least visually creative and interesting, but I found they sold-out the fastest and I see why: they are the largest. I decided on this style and it took a lot of clicking and refreshing of the "order" page until I finally got one. The first thing I noticed when I arrived is all of the above objections, save the prim limits, are total bunk. The house (and build) is quite nice. The window views are considerably better than I expected and no different from a real life view in a similar kind of neighborhood. Not only respectable, but actually pleasant. Even with my draw distance set to 512 meters, once I allow the time for things to rez, there is practically no lag, save for computer lag (my graphic card trying hard to draw and keep track of all those prims in viewing distance) - I am easily maintaining 24-frames-per-second which is completely acceptable. The last objection all the whining crybabies threw-out a lot was the 117 prim limit. 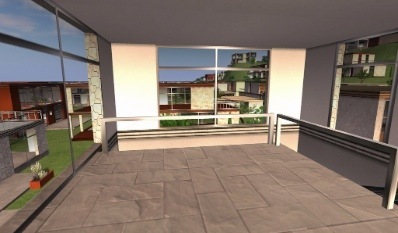 The simple fact is with some creative building and care these entire homes can be decked-out quite stylishly in every room with prims to spare. And so my shameless plug: six "Linden Home Edition" furniture sets designed from the beginning for the Linden Homes and their prim limits. 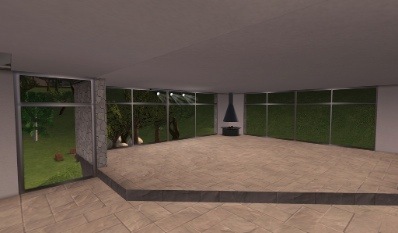 All four major rooms: a complete living room, bath room, bed room and kitchen. Menu-driven and animated sit-poses throughout in themed sets. 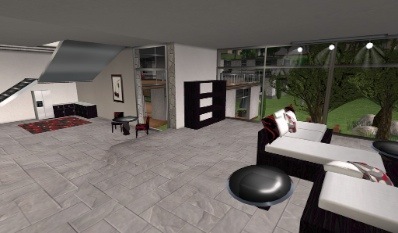 Obviously they will work well in non-Linden homes, but to know that the entire house of furniture only uses between 92 and 103 prims (depending on the theme you choose) is a bonus. See the sets here on XSL and click the "See it in world" link on the XSL page to see the sets side-by-side in the Zodiac House store. 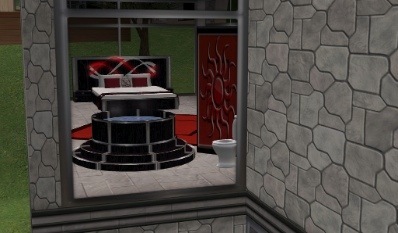 Oh, and my home is open to all visitors! 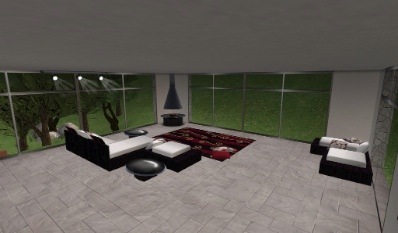 If you want to see our "Carmine" set (the most difficult as the Meadowbrook homes are so large and thus hard to fill-out) - take the SLURL below to tour my home in Linden Land (Clarabella region) and have yourself a personal tour to see a Linden Home (and the Carmine LH Furniture set) for yourself. Links at the bottom of this post. 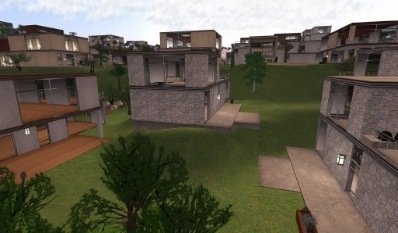 Visit my Linden Home in Clarabella. Visit XSL to see our Linden Home Edition furniture sets. Oh, and if you have one of the "Fantasy" Elderglen homes, that theme will be available by Saturday after noon.